My kids usually have their sleds lined up by the garage door by Thanksgiving. They’ve been trying on their snow clothes, eyeing new ski jackets in the L.L. Bean catalog and are ready to get out in the snow! 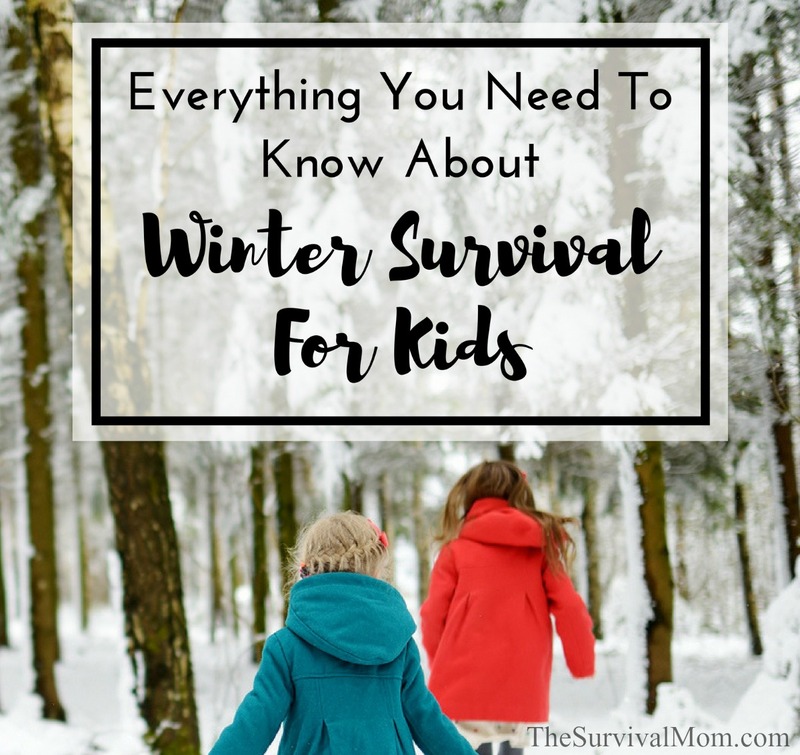 I love to watch them play in the snow and ski down a (slightly elevated) hill, but the Survival Mom in me wants to make sure they also have some winter survival skills. Combining the fun of winter sports and outdoor activities with a few survival lessons are my sneaky way of making sure they know what to do if ever they find themselves in trouble. Basic skills and knowledge like these can make the difference between a winter filled with icy fun and bright pink cheeks and noses and one with injuries and accidents. When there’s a chance they’ll be out of my sight, say, when they’re skiing or tramping through the woods, I want them to have a small survival kit with them. Just in case. Once kids are on their December break, putting together individual Winter Survival Kits is a sure-fire activity to keep them occupied. These are small enough to be carried in backpacks or fanny packs, and kids love having something important that is all their own. It’s important to keep in mind that an essential piece of survival equipment is knowledge. Make sure your kids know what to do with each item if they’re ever in an emergency situation. Here is what you’ll need to make up these kits. Put all these items in a large zip-loc bag or small nylon sack, and it’s finished. In no way is this meant to be provisions for long-term survival! It’s filled with just enough essential items to help a child signal for help and stay occupied until rescue arrives. For older kids, you might add a firestarter, a few tablets of over-the-counter pain medication (in case there’s been an injury), and additional food and water. Older kids will enjoy this video of how to make a small survival stove using a couple of cans, toilet paper, and alcohol, or a Buddy Burner, a fun project that is surprisingly effective at providing heat as well as a makeshift stove. A very important point, though, is survival isn’t about gear and gadgets, ultimately. For all of us, from children through mature adult, it really is about making good decisions and common sense. One way to nurture that mindset during the winter months is to model those thought processes aloud. If I first asked my own kids, “What would you do if you saw that a deer had fallen into a pond covered with ice?”, my soft-hearted kids would almost certainly respond, “I’d run right out and get it!” But when I model a more common sense and less emotional decision, I’m teaching them to do the same. Following this discussion, I could then ask, “So what’s the smartest way to help a person or an animal who has fallen through the ice?” Notice I’m emphasizing the word, “smartest” and again, rehearsing this scenario as modeled by an adult will guide a youngster toward decisions that will be far more likely to result in survival. Using stories in the news and from children’s literature are excellent ways to do this without raising fear levels needlessly. Sometimes parents have to be sneaky in order to teach our kids what they must know. 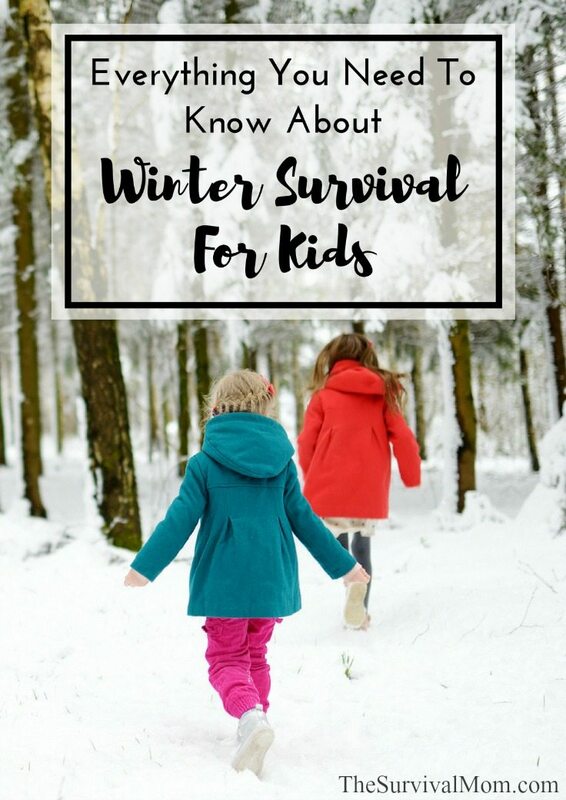 Now that winter is in full swing, take advantage of the colder weather to teach important survival skills your kids will never forget. I will definitely not pass along that comment to my son! LOL He's pretty sharp for an 8 year old. I think a couple of bandaids would be good to add to the bag. Another item is lip balm with no petroluem jelly in it. Its better for cracked lips, keeping lips from cracking, etc. We spend alot of time outdoors in the snow and cold. Chapped lips from cold/wind is miserable. I live in Alaska and we have been setting some new records in my parts. It's been at about 20 below F ambient temp and 40 below windchill. I took the kids out this weekend to try out there new winter gear and the new snowmachine. About an hour and a half and the little one (8 years old) was cold enough to call it quits. We have rules about not leaving the house without full winter gear, hat, gloves, facemask, snow pants, etc. I HAVE to know where they are at all times in this tempature and am trying to instill in them how dangerous it would be for either of them to get lost, or be out in it for long. Just a suggestion on the energy bars, they get hard to eat if they are frozen, trail mix or the like you can eat frozen. Batteries in a flashlight would freeze if left out, so maybe a head lamp in an inside pocket of the coat would be better. Again we live in Alaska so it is pretty much dark when we leave in the morning and dark when we get home. So headlamps are pretty important for outdoor chores.